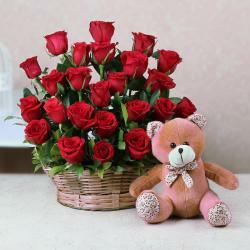 Product Consist: Arrangement of 50 Red Roses in a Basket along with 1 Kg Heart shape Chocolate Cake. Giftacrossindia.com brings to you a very special gift combo which is just perfect for any occasion this pack. It contains one basket filled with red roses and Heart shape Chocolate Cake. The Heart shape Chocolate Cake is very delicious. This whipped cream coated soft and spongy cake is a perfect dessert. The Arrangement of roses kept on the basket. This Arrangement of basket has 50 roses which portrays the message ‘you are pretty. So go ahead, place your order now. 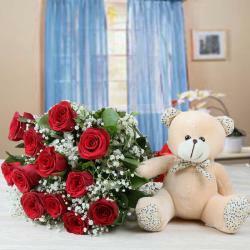 Giftacrossindia.com gift store is sure to make any celebration really special for your Dear ones. 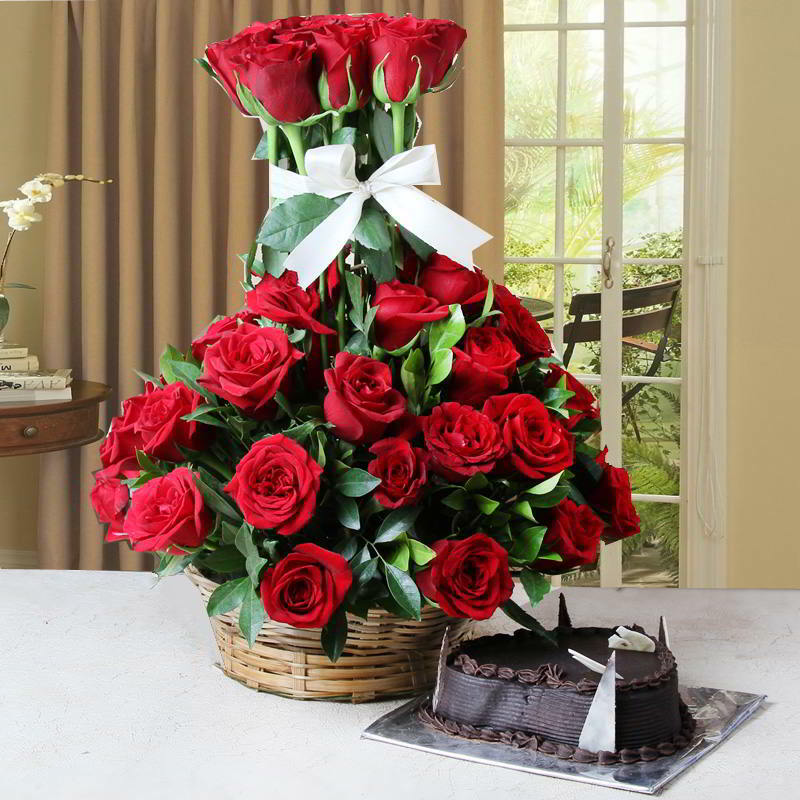 Product Includes: Arrangement of 50 Red Roses in a Basket along with 1 Kg Heart shape Chocolate Cake.